I know it’s been a long time. I also know some people are going to think my reasons for not writing are total crap. I think I should let you know what they are though. I quit smoking, and I did it in what is probably the worst possible way, cold turkey. That phrase makes no sense. I like turkey, even if it’s cold. I didn’t like quitting cigarettes. I went through some horrible withdrawal, then I got sick. I’ve had a craptacular month, but I’m getting back into things. Now I’m doing it all without nicotine. That is extremely weird. When my schedule started to return I had to prioritize, since I’m trying to do several blogs at once. Thanks to certain posting requirements on another blog, that meant I had to focus solely on it until I could get back into the swing of things. Either that or drop that blog completely, which I didn’t want to do. Now that I’m learning to write without smoking I’ll be posting here again. I wish I had a cigarette. This entry was posted in Blogging, Personal on April 16, 2008 by 2xKnight. Stargate, the Ark of Truth, a Stargate SG1 feature-length adventure, was released March 11, 2008. It should not disappoint die-hard Stargate fans. While it’s definitely not a stand-alone movie…most viewers will not care. Writer-Producer-Director Robert Cooper and the cast made this one for the fans. The Ark completes the Ori story arc, leaving few threads unraveled. There are several Bonus Features. Before watching the movie, I started with The Road Taken: Prelude to The Ark of Truth. Its nine-minute capsule of brain jogging scenes begins with Cam Mitchell joining the team, and continues with a few germane Vala snippets, such as her spawning of the Orici, Adria. Moving into the Merlin story line, and Adria’s ascension; it concludes with the shared Asgard upgrades, and Cam Mitchell stating that they need a new plan, “a damn good one.” If, as you’re reading this, you say, “what is she talking about,” then don’t bother to watch The Ark of Truth until you’ve seen at least some of the Season 9 & 10 SG1 episodes. This Prelude reminds us how we (SG1 & fans) got here, but certainly won’t do much to enlighten non-series fans. Pardon me if this doesn’t bother me too much. I’ve been waiting for this DVD, and pre-ordered my copy from Amazon. Short and sweet, the Prelude sets the tone for The Ark feature. Spoilers may be contained from here on: Proceed at your own peril. However, if you want extensive spoilers, go here. The Ark of Truth opens in an Alteran (aka Ancients) underground meeting long ago, with scientists arguing about, and ultimately deciding not to use, the Ark of Truth. This Ancient device can apparently cause people to believe whatever is programmed into it. The Alterans are considering utilizing it to disabuse the regular folk into believing that the Ori are gods. In the latter part of the movie, Vala seems to reveal that the device can only brainwash people into believing that which is true. We skip on into present day Dakara, with Michael Shanks returning as Daniel Jackson, Christopher Judge as the inimitable Teal’c, and Claudia Black as Vala Mal Doran, searching for the Ark of Truth. 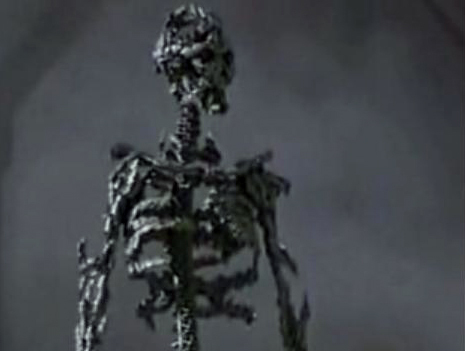 Daniel has been experiencing visions of Merlin, whose non-corporeal appearance is believed to be caused by Daniel-Merlin’s residual memories. Those grail-ish visions provide clues to the Ark’s location. Daniel and Vala are bickering about how to open a chest believed to contain it. Sam and Cam are guarding the perimeter with an SG contingent. Teal’c says, “Quiet! As Daniel and Vala turn to him in surprise, Tomin and an army of soldiers for the Ori overtake them. With the aid of the Ori dampening device, SG1 prevails, and gains a convert in Tomin. This sets the proverbial stage for the quest for The Ark of Truth. Beau Bridges smoothly reprises his gruff but lovable SG1 series character, Major General Landry. Tom Guinee, who portrays Ori commander Tomin as well as Vala’s nearly ex-husband in the series, is key in two intense scenes. The first is an interrogation scene between Tomin and Marrick, Woolsey’s IOA replacement. Marrick is played with fanatic intensity by first-timer Currie Graham. Marrick starts out with an ultra-soft query about Tomin’s position…and ratchets it up to hysterical emotions when he asks Tomin how many innocent people he has been responsible for slaughtering. It’s a little over the top, but without this hysteria, we might not find Marrick’s continued prominent and nefarious role as believable. This scene, in turn, sets up the second emotional scene with Tomin and Teal’c, who, for the first time, tersely addresses living with his own blood-soaked history as Apophis’ First Prime. Sam (the irreplaceable Amanda Tapping) and Cam (the irrepressible Ben Browder) must leave Daniel, Teal’c, Vala, and Tomin on Ortus Mallum (Place of Origin), while they return to the Odyssey. Marrick has activated the Asgard core, creating a signature the Ori can use to locate them. Our old friends, the Replicators are back, courtesy of the IOA. Meanwhile, back on the planet, Teal’c is shot, and the others captured by the Ori and taken to Celestis, creating a two-front crisis for the split team of SG-1. Teal’c has some incredible scenes crossing snowy mountains and arriving at Celestis. Robert Cooper credits Teal’c as being the hero of the story. He does INDEED have a very significant role to play. He also has some interesting assistance from an Ancient. 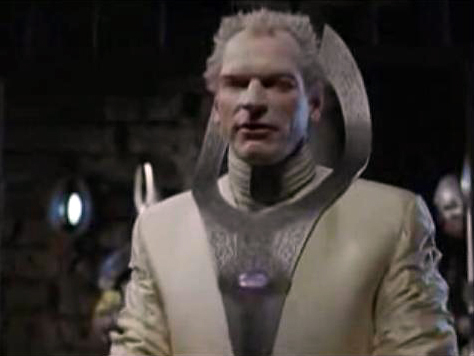 Julian Sands cameo as the Ori chief Prior Doci in Celestis is small, but Sands is a past master at portraying wickedness in all its varied forms. “Merlin’s ghost” (ably reprised by Matthew Walker ), Morgan Le Fay (Sarah Strange), and Adria (Morena Baccarin, a favorite Firefly alum) all return in the direct Ark story arc [sic]. IOA idiocy nearly scuttles the quest/mission in a spectacular manner. There are a few surprises here and there in this epic, but IOA’s misjudgement is just business as usual! A Terminator homage is included, and it’s all really good fun. The “Uncovering the Ark of Truth” making-of-the-movie video segment is worth the watch. I didn’t get through the additional entire blow-by-blow audio commentary with Robert Cooper, but I will at some point. I know audio commentary has become a staple, but I wish they had compressed it a bit, as there are long moments as each scene comes along and sometimes; there just isn’t a lot to say. The information, when it does come, is fascinating. We learn that Christopher Judge did his helicopter-shot mountain vista scenes in person, with no stunt double. We hear Cooper talking about the danger they unwittingly created for Judge in their ignorance of the helicopter’s maneuvering to accomplish long camera shots. 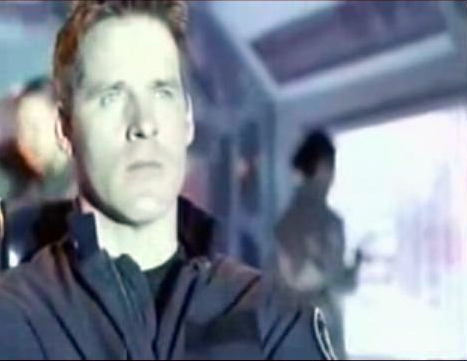 Ben Browder apparently takes a punch so much better than most, that they structured scenes to cameo it in conjunction with their Terminator moment. The Ark of Truth, Stargate at Comic-Con is highly amusing, especially for someone like me, who has yet to be able to get into an actual convention panel at DragonCon to see them. (okay, so I don’t like to get up before dawn to stand in line for a panel, my bad). They take questions, and answer them with humor and aplomb. The soundtrack was impressive. Composer, Joel Goldsmith uses the original Stargate movie theme, by David Arnold, as a familiar springboard into a new epic movie score. Overall, I thought The Ark of Truth was well done. It was shot in 35 mm, instead of HD, to give a more cinematic feel and texture to the story. It works for me. I can’t be entirely objective, because I have always been a fan of Stargate SG1. I followed the transition from “old school” with Richard Dean Anderson to “New School” with Ben Browder, Claudia Black, and Beau Bridges. One of the highlights of The Ark of Truth for me: The “new” characters that struggled a bit during SG1 season 9, and who were just getting comfortable in Season 10, were fully realized in this feature. There wasn’t a single moment of “Cam-Crichton” in the entire epic, cross my heart. I say that as a certifiable Farscape fan. The characters have always been the magic in SG1 for me. I’m glad I stuck it out. In the next feature, “Continuum,” Jack O’Neill returns to rescue his former team. I look forward to his return even more than I would have, now that the “New School” characters are comfy in their universe. Shiny1 is often known as Patricia deVarennes. This entry was posted in FanaticSpace.com, Fandoms, Movies, Opinion, Other, Personal, Reviews, Sci-Fi, TV on March 14, 2008 by Shiny1. 2008 is the year of the Rat. Well, it will be in about a month or so. I’m doing a combo holiday post with the New Year. I hope you had a great 2007, and an even better 2008. This entry was posted in Other, Personal on January 1, 2008 by 2xKnight. Sorry this is late, but I do hope your holidays are going well. Christmas threw me off schedule a little bit and for once I have so much to post about that I’m behind. Looks like I’ll be busy posting through the first part of January. I have a lot of stuff to post about. A few of the gifts I received for Christmas are definitely getting a review. Not as gifts, as products. Some of ‘em are pretty darn cool, but one didn’t live up to my hopes. I still think it was a cool gift, I just don’t think it’ll work as I’d hoped. If I can get it to work at all. If I can I’ll post some info on the workarounds. If not, then I’ll post some alternatives. I also have some cool stuff planned for January. On Christmas Eve I received 2 review copies of books that I’m looking forward to discussing with you here on FanaticSpace. I’ve also got an interview with the author planned. Look for the interview on the 10th. The reviews may come before or after, I haven’t decided yet. I’m looking forward to another year of FanaticSpace. I hope you are too. This entry was posted in FanaticSpace.com, Fun Stuff, Other, Personal on December 27, 2007 by 2xKnight.